Dantiez Deandre Saunderson, Detroit born and bred, middle son of “Master Reese,” “Elevator of Techno,” Kevin Saunderson and accomplished singer, performer and songwriter, Ann Saunderson (Inner City and The Reese Project). 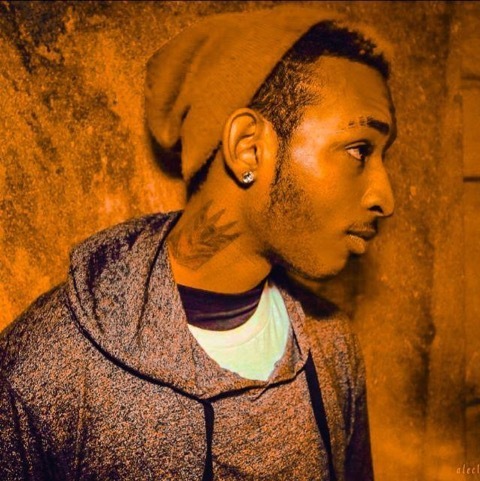 Dantiez (pronounced Don–Tezz) has only just begun his musical journey. Growing up in Detroit, the “Motor City”, surrounded by the sounds of Techno, House, Soul and Jazz is proving to be the solid foundation that he will need as he ventures into what looks like a long and rich musical career producing, songwriting and DJing. As a child, it was not unusual for Dantiez to hear sounds ranging from his multi-talented parents to the original stylings of Carl Craig, to the bleeps and rhythms of Ritchie Hawtin, Juan Atkins, Derrick May, Stacey Pullen, Static Revenger (Dennis White), Mike Clark and the list goes on and on to Seth Troxler and Claude Von Stroke and so many more that are part of the Detroit musical tapestry. It should therefore come as no surprise that about three years ago Dantiez decided his fate was imminent; he was going to start fiddling more in the studio, help to rebrand and revitalize his pop’s label, KMS, and generally make music and DJ anywhere someone would listen, enjoy and dance to what he was offering. Dantiez admits his sound is not like his Dad’s, although you can hear the deep influences when you listen to the broad range of his musical productions. He attributes his differences to being exposed while touring in the last few years to an even wider and diverse range of music other than pure techno. Dantiez readily confesses that his influences also come from more house and techy sounds from friends and mentors like Green Velvet, Pig & Dan, MK, Eats Everything, Shadowchild, Maceo Plex, Carl Craig and his pops as well (always his pops). Dantiez admits how excited he is about his upcoming EP “HOME,” featuring two outstanding titles “Place Called Home,” on which he collaborated with some amazing friends and producers such as KPD and La Rae Starr and the EP also features another outstanding track called “The Harp.” The EP will be released on DEFECTED in March 2015 and we are looking forward to a great response from friends, music lovers and dance heads all over. Other upcoming projects that Dantiez is working on includes a song with the iconic and legendary Crystal Waters, a song with Pleasure State’s Anabel Englund, as well as some incredible remixes for Laura Welsh and others that are still top secret.